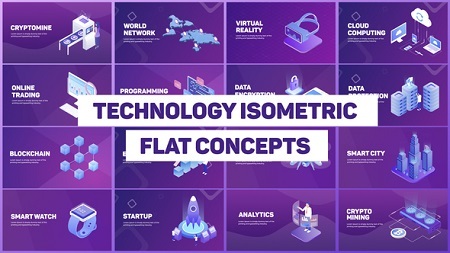 Modern design isometric concepts on various topics. Can be used for video presentation, website or Landing page. You can easily edit them by adding or changing objects, their colors, and gradients etc.